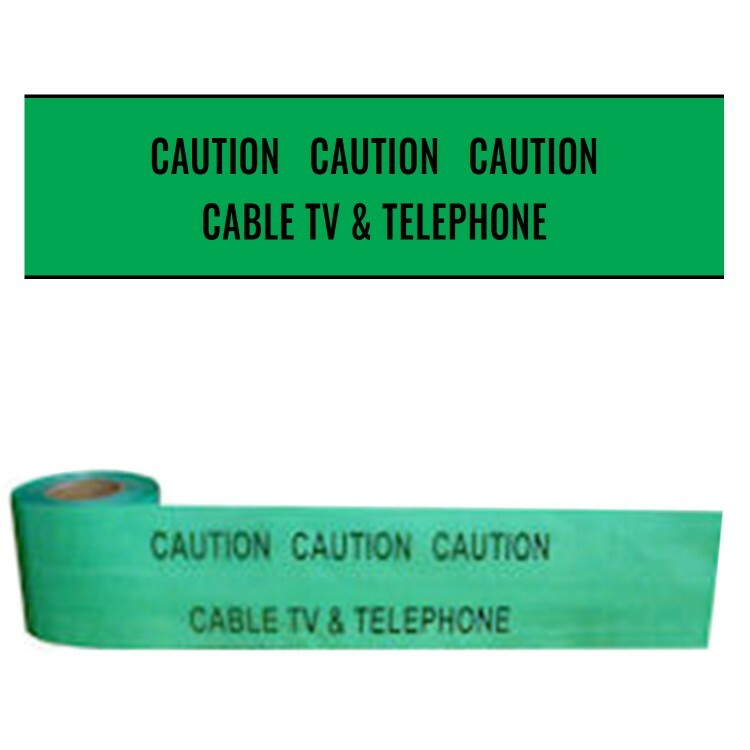 Premium Underground Warning Tape - Campbell International Specialist Tapes. Self-coloured, plastic warning tape overprinted with a warning identification text. Designed to mark the position of buried utility lines and help reduce the risk of third party damage. Made from 100% virgin polyethylene with high acid & alkali resistance. Free from PVC. For best results, the tape should be installed as close to the ground surface as possible. We recommend that due consideration is given to the NJUG guidelines, although a typical installation would see a utility line buried at a depth of 600mm then the trench backfilled by 300mm and the tape laid directly on top i.e 300mm below the ground surface. In addition, the tapes comply with various specifications for both UK and non-UK authorities.